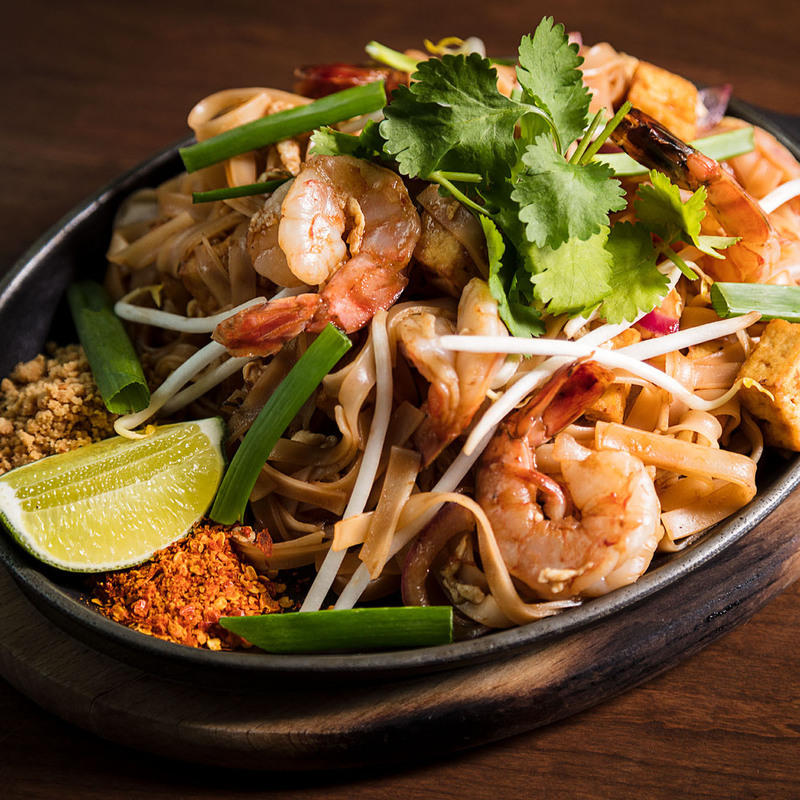 Take away sets can be ordered here. 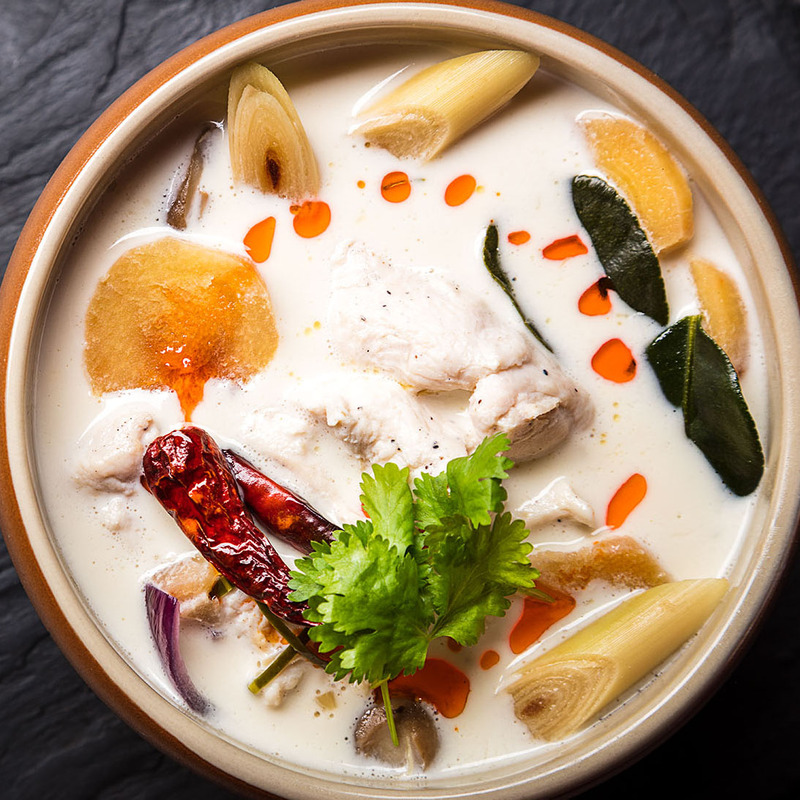 Chicken coconut soup with galangal and coriander. 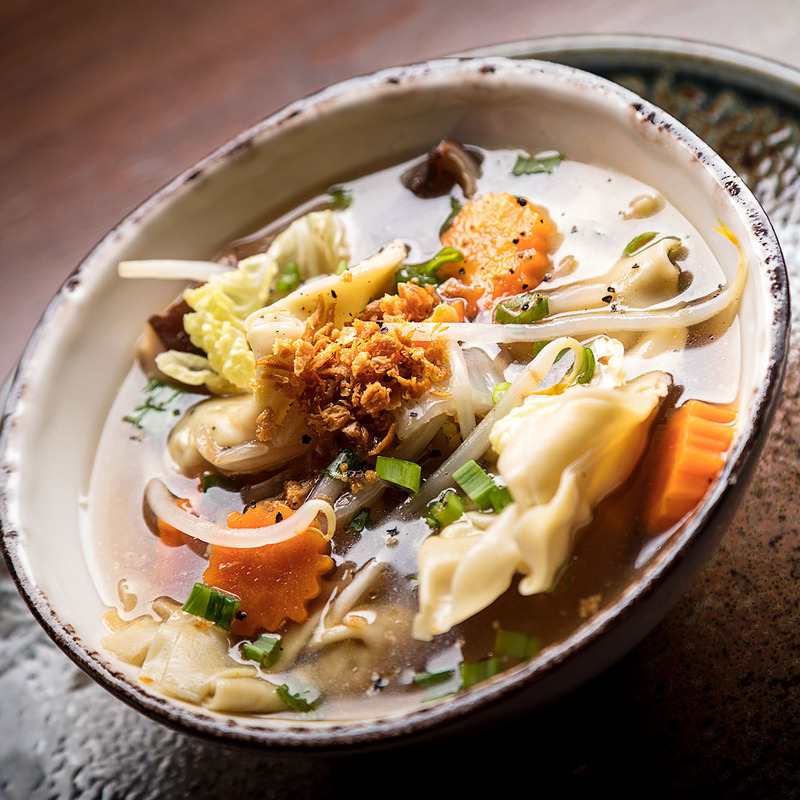 Pork wonton soup with shiitake mushrooms and bean sprouts. 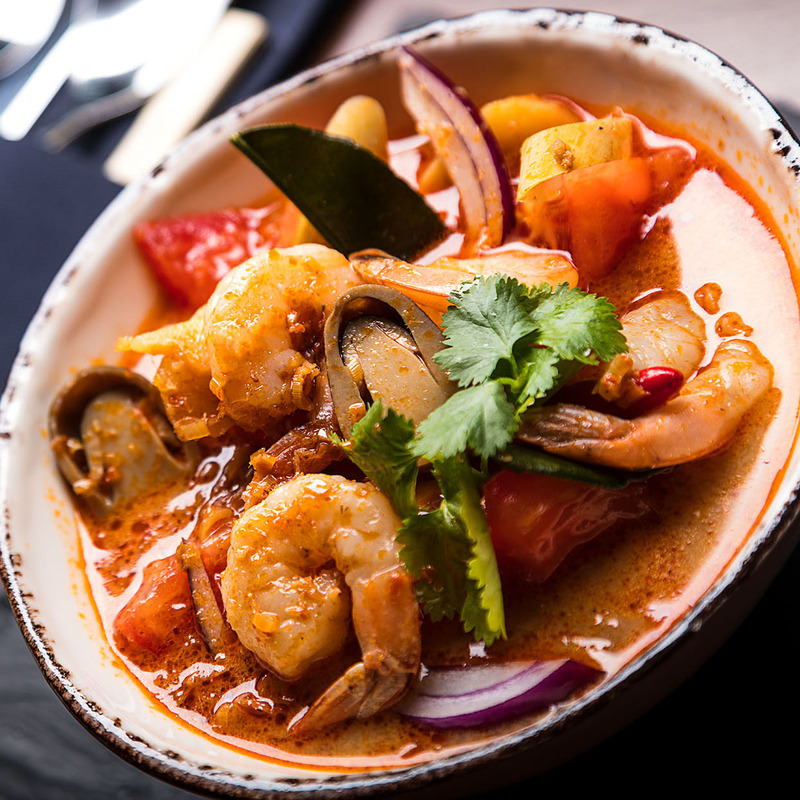 Thai hot and sour soup with prawns, lemongrass and coriander. 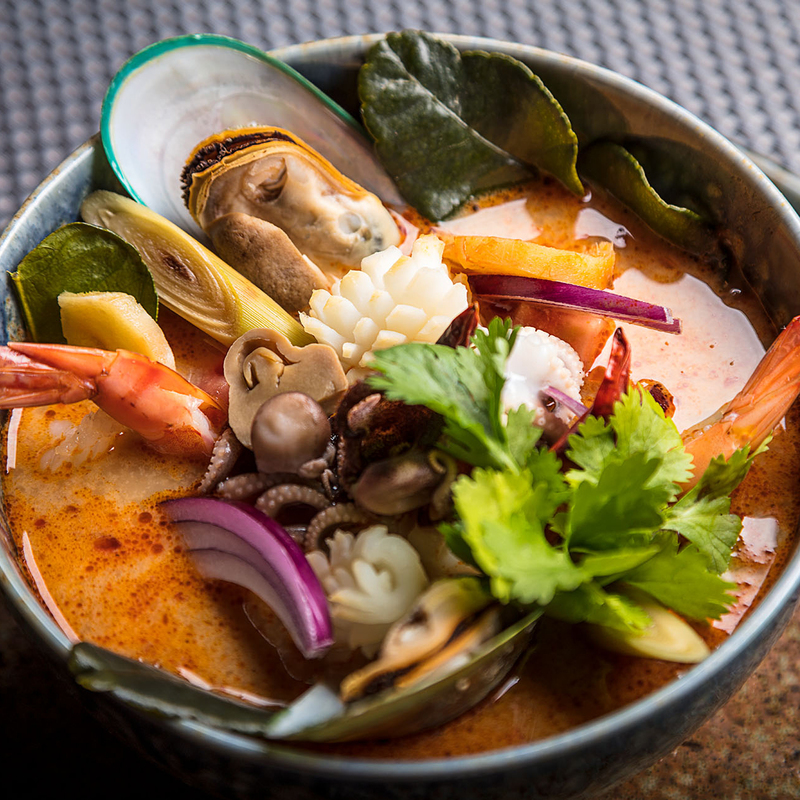 Thai hot and sour soup with sea food, lemongrass and coriander. 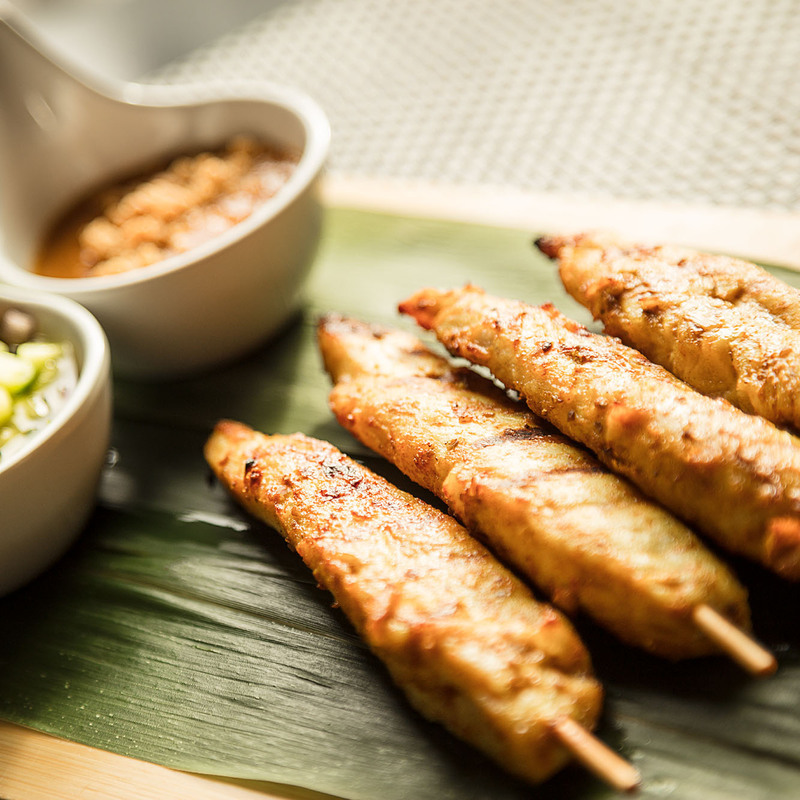 Thai herb-marinated chicken satay with peanut sauce and cucumber relish. 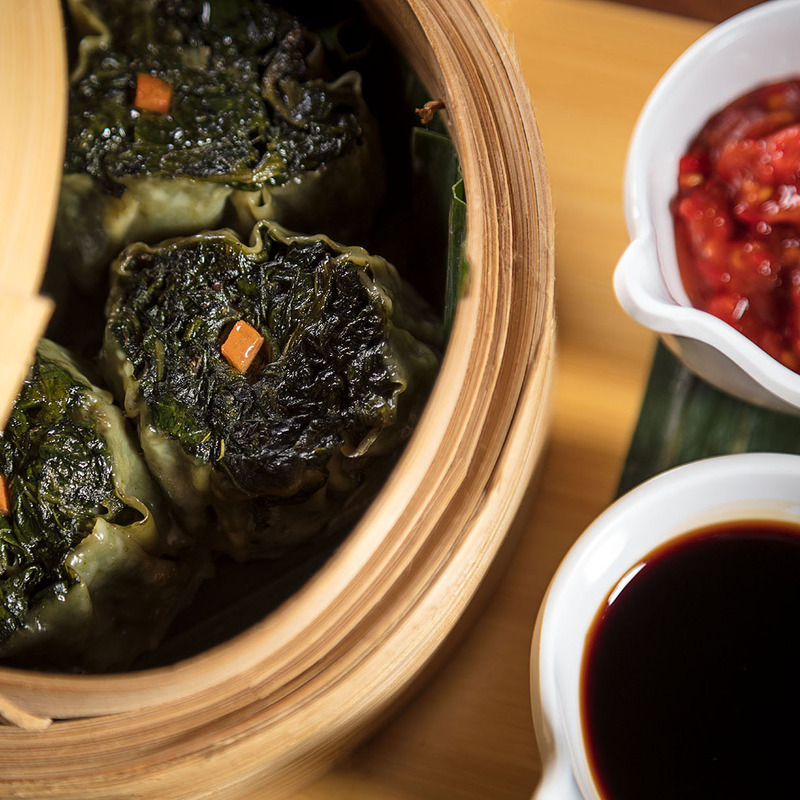 Steamed spinach Dim Sum dumplings with soy and chilli sauces. 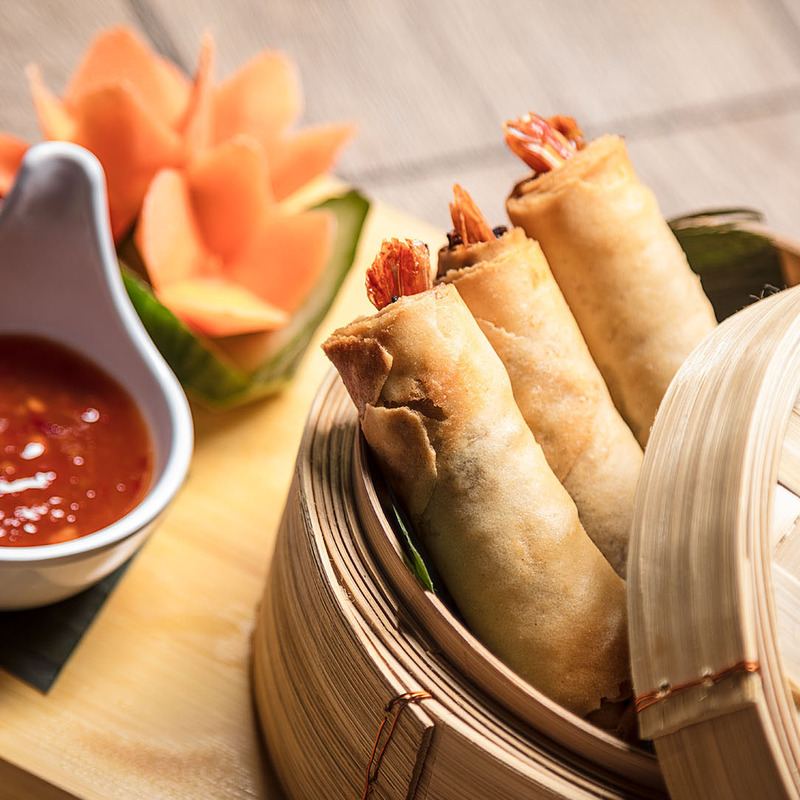 Whole king prawn fried rolls with sweet chilli sauce. 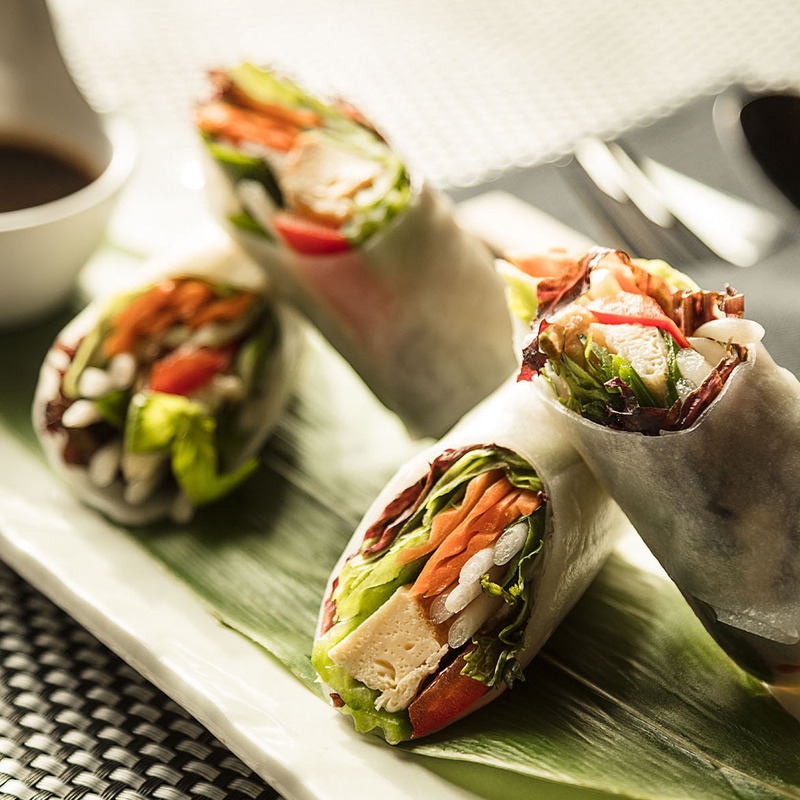 Lao style fresh vegetable rolls with tamarind dip. 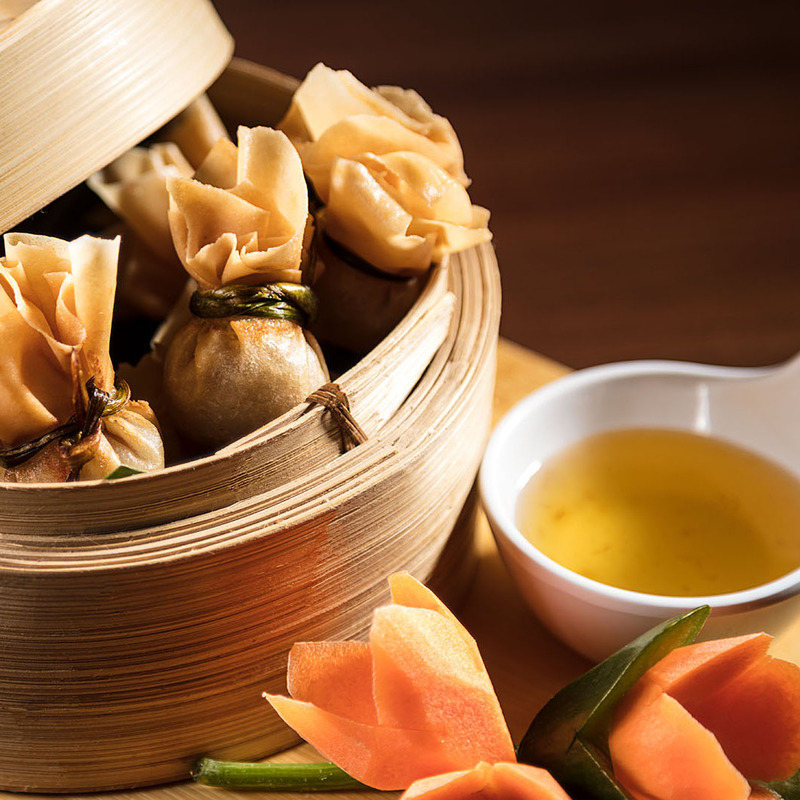 Crispy deep fried golden purses filled with pork, seasoned with coriander and garlic. 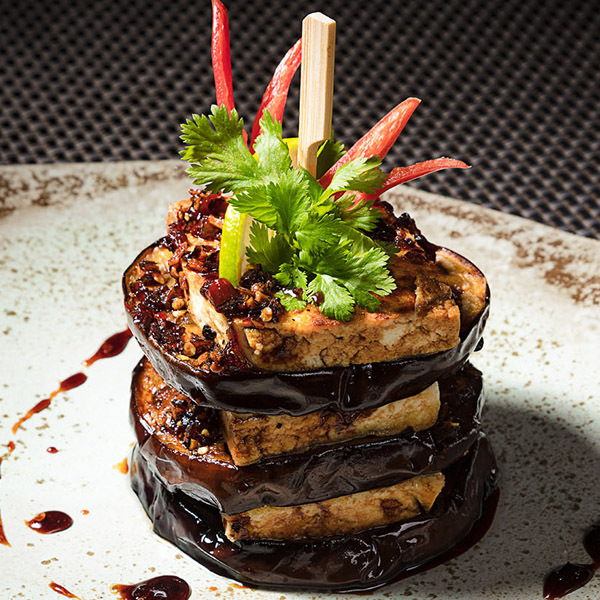 Thai marinated aubergine and tofu with sweet soy sauce, coriander and chilli. 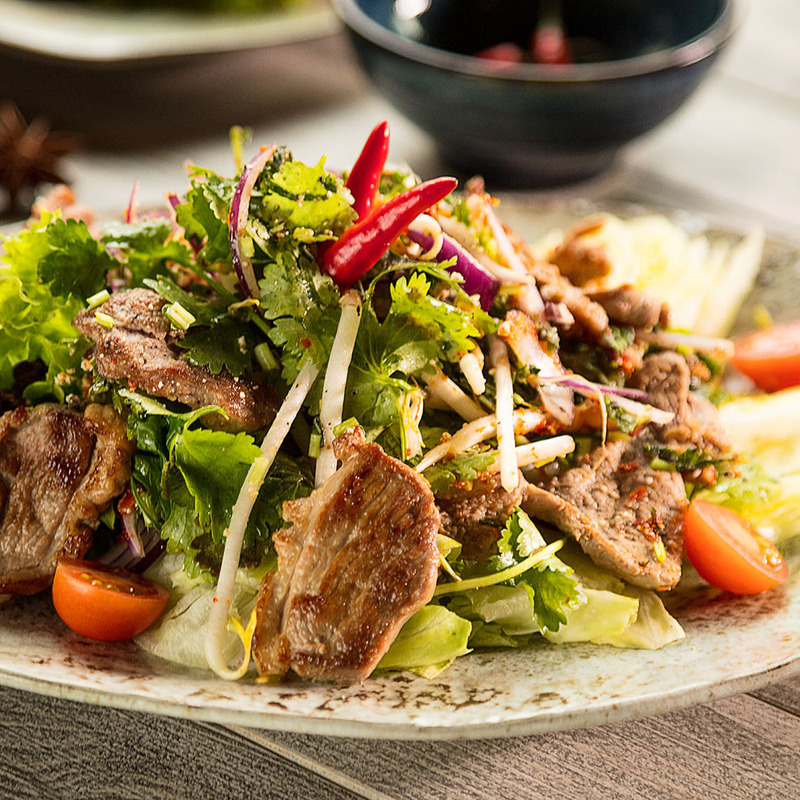 Traditional Lao spicy wok fried duck salad in lime and chilli dressing. 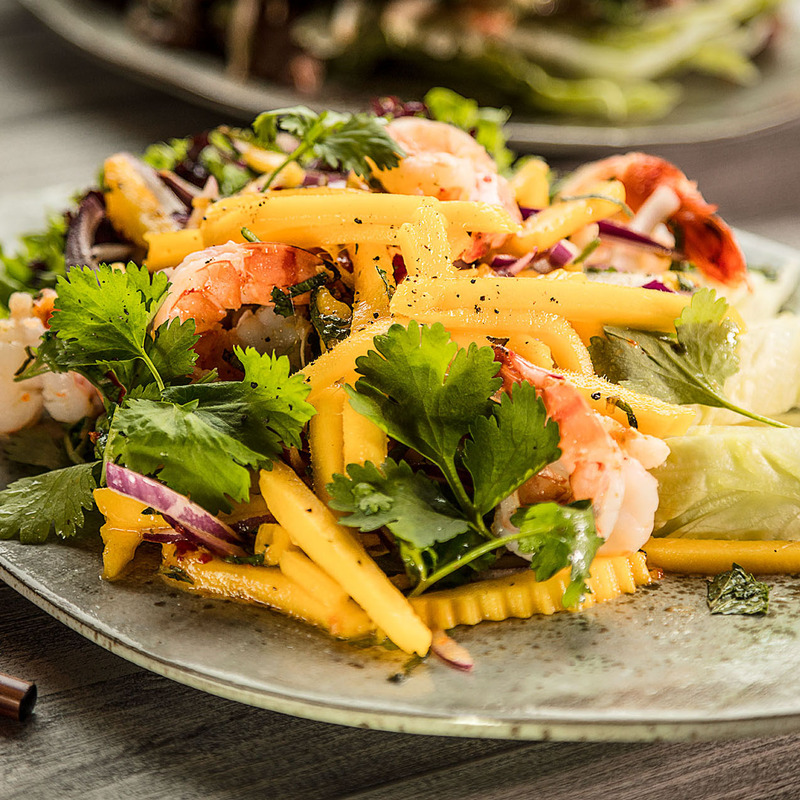 King prawns and fresh mango salad with fresh peppermint and red onion. 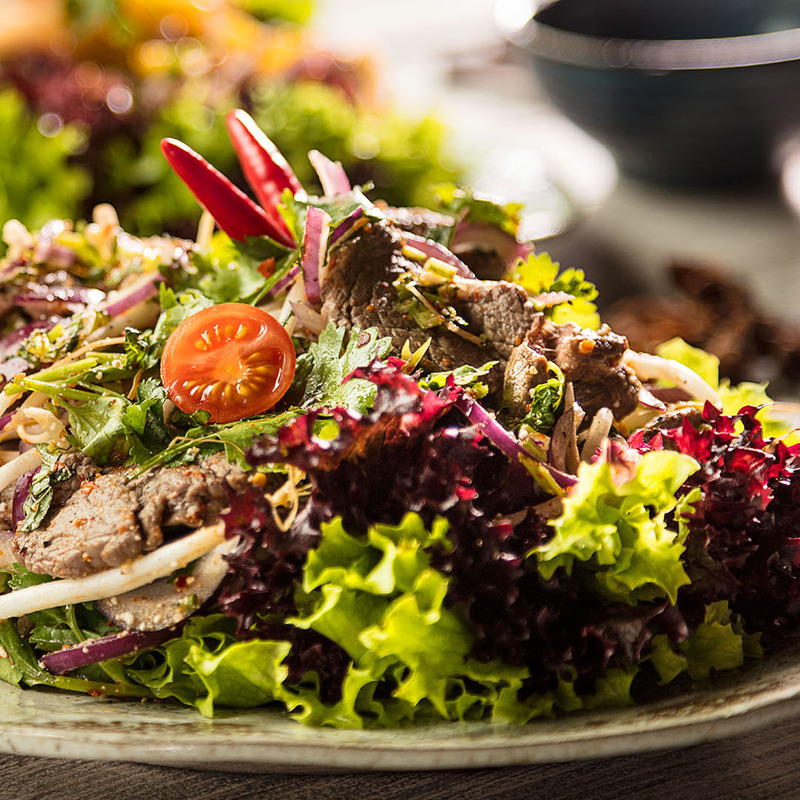 Traditional Thai beef salad with roasted rice in lime and chilli dressing. 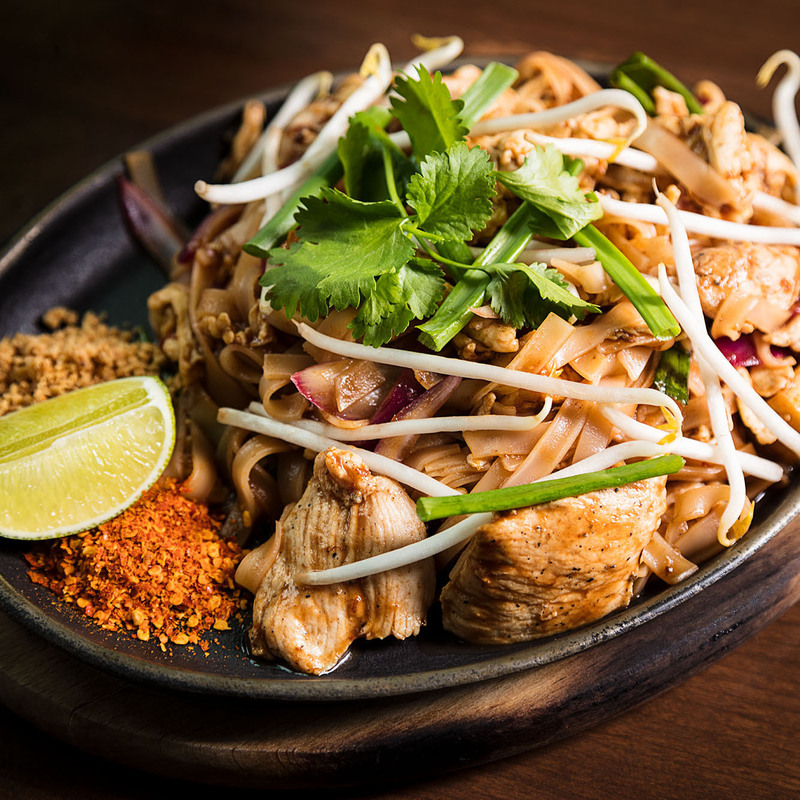 Wok fried rice noodles with seasoned chicken, peanuts and tamarind sauce. 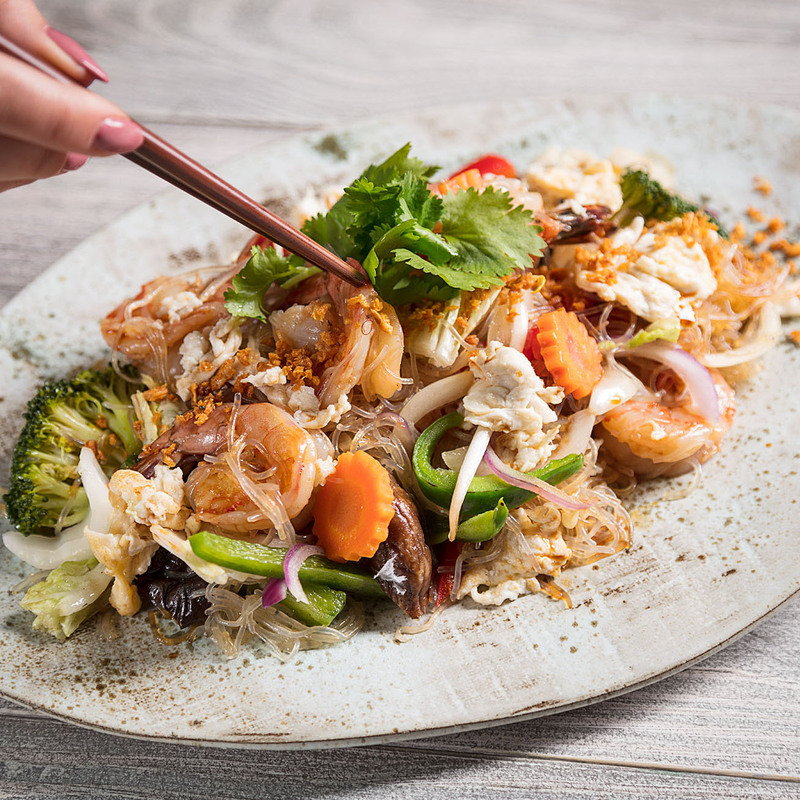 Wok fried rice noodles with seasoned prawns, peanuts and tamarind sauce. 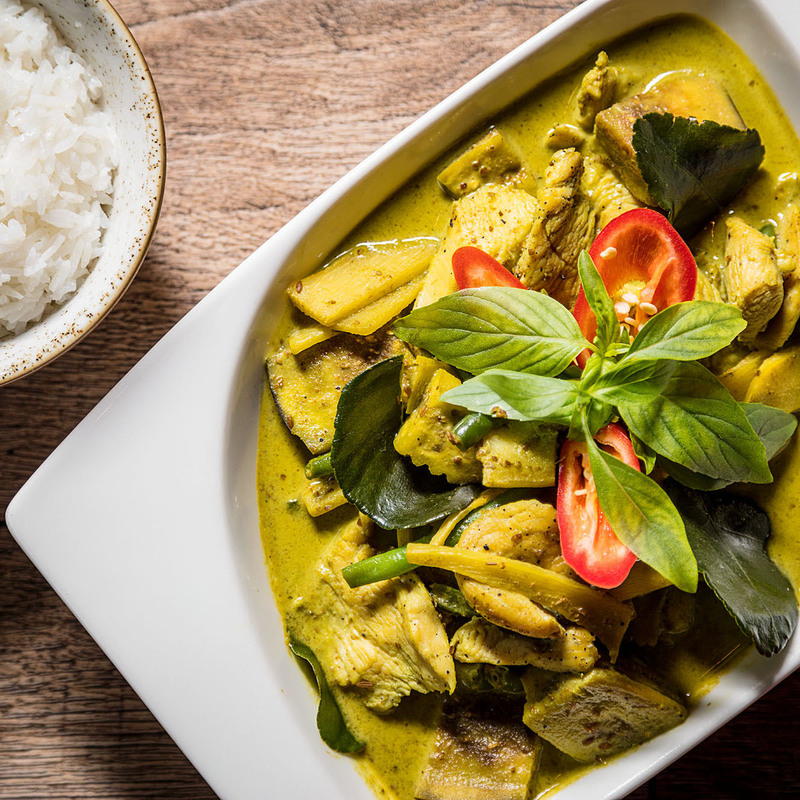 Thai green homemade curry chicken breast with coconut milk, kaffir lime leaves and fresh basil, rice. 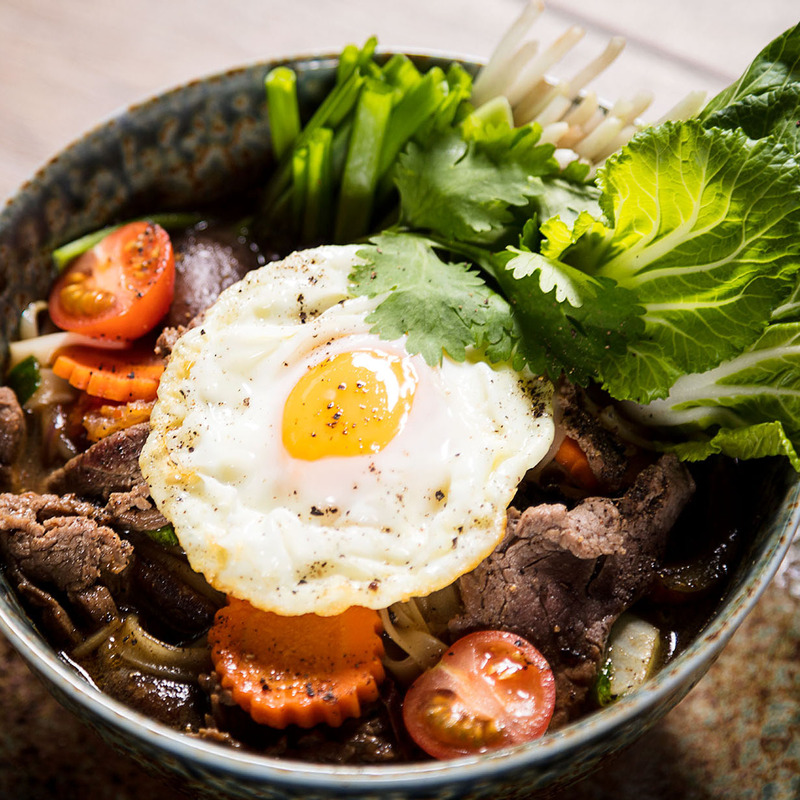 Thai beef bouillon with rice noodles, beef tenderloin, vegetables and fried egg. 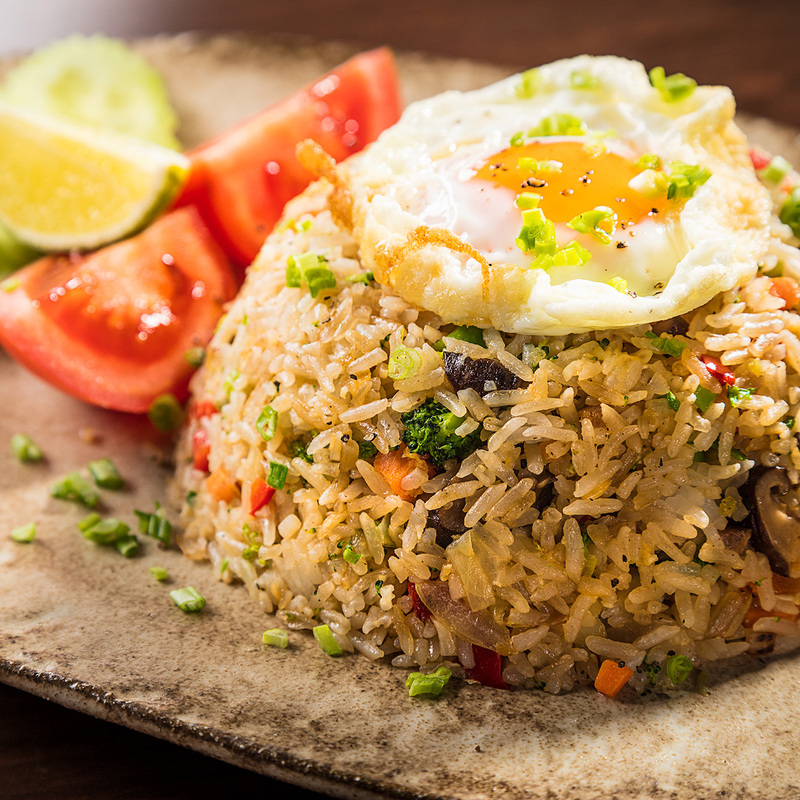 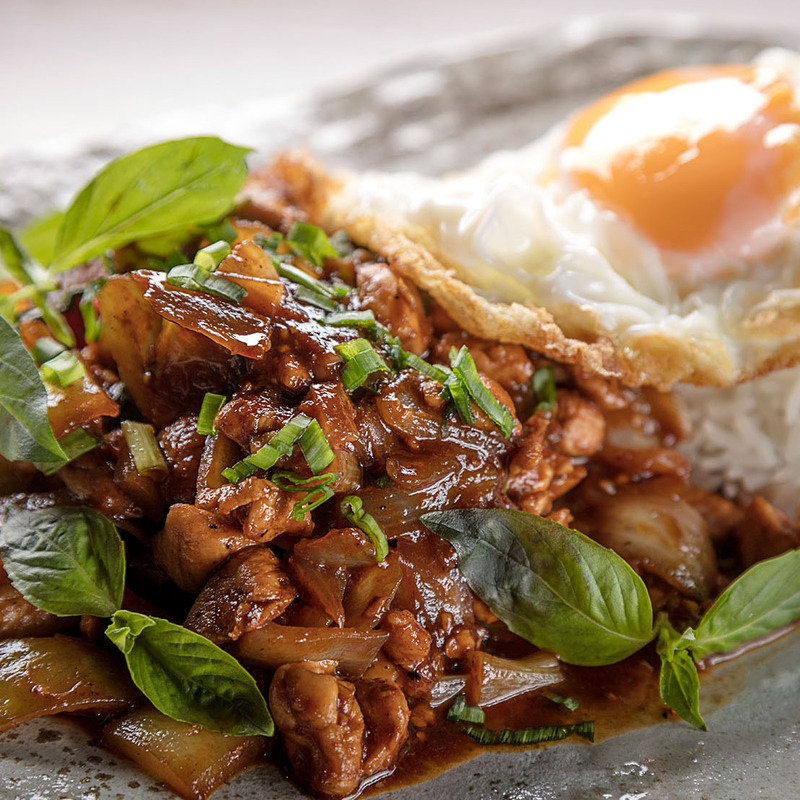 Wok fried chicken breast with Thai basil, sweet&sour tamarind sauce, cashew nuts and fried egg, rice. 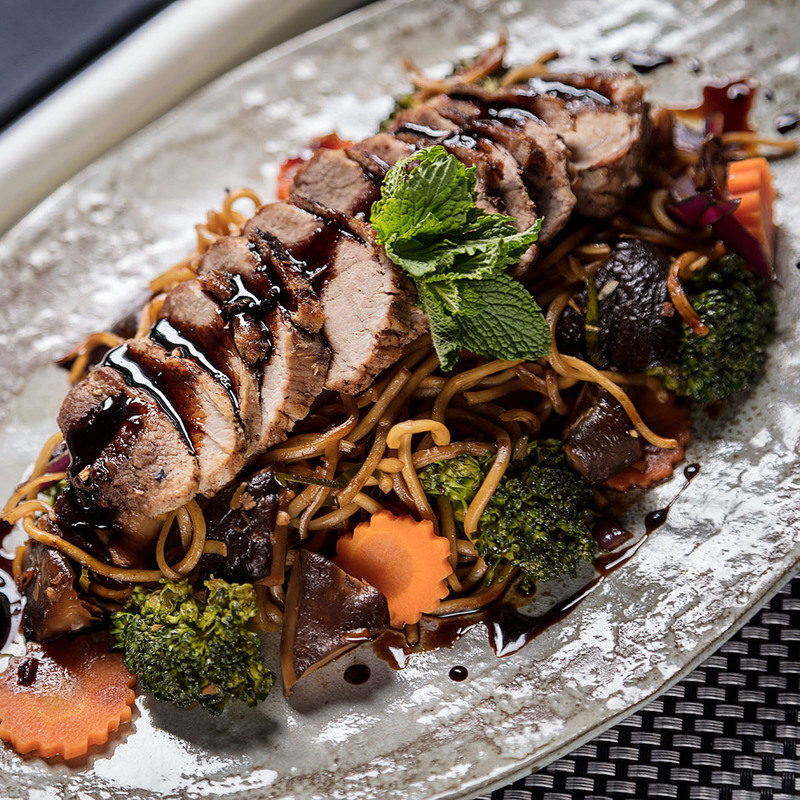 Stir fired egg noodles with vegetables, thai spices and honey-glazed duck. 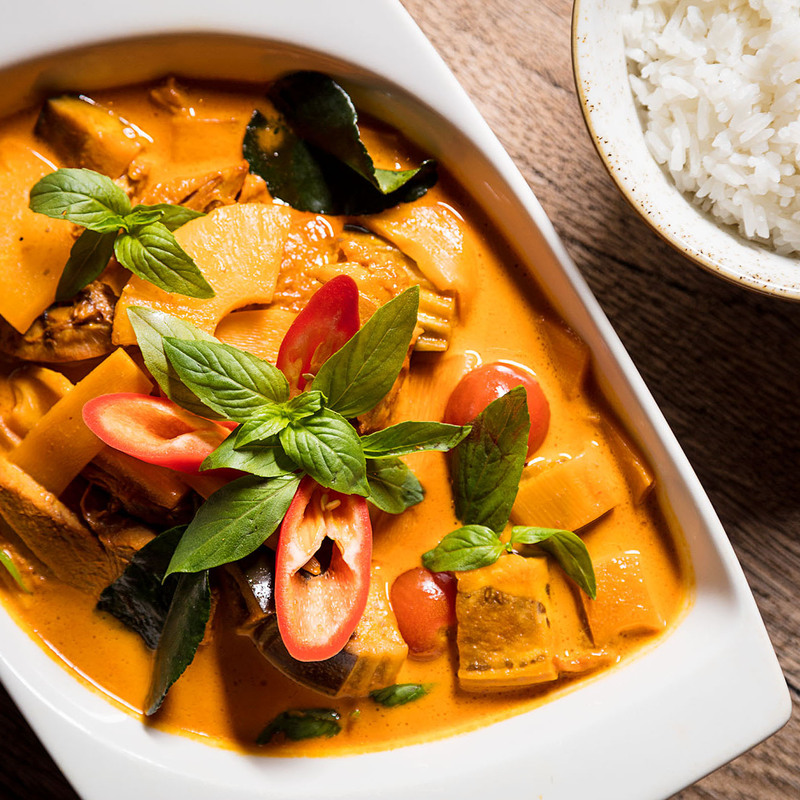 Red curry roasted duck with coconut milk, pineapple, kaffir lime leaves and fresh basil, rice. 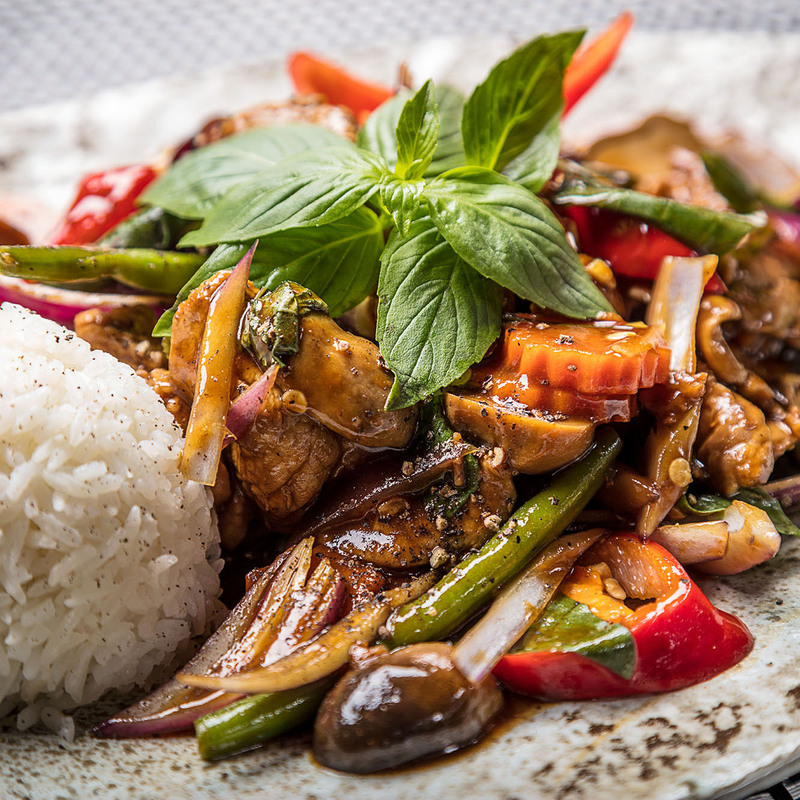 Wok fried pork loin with Thai basil and chilli, rice. 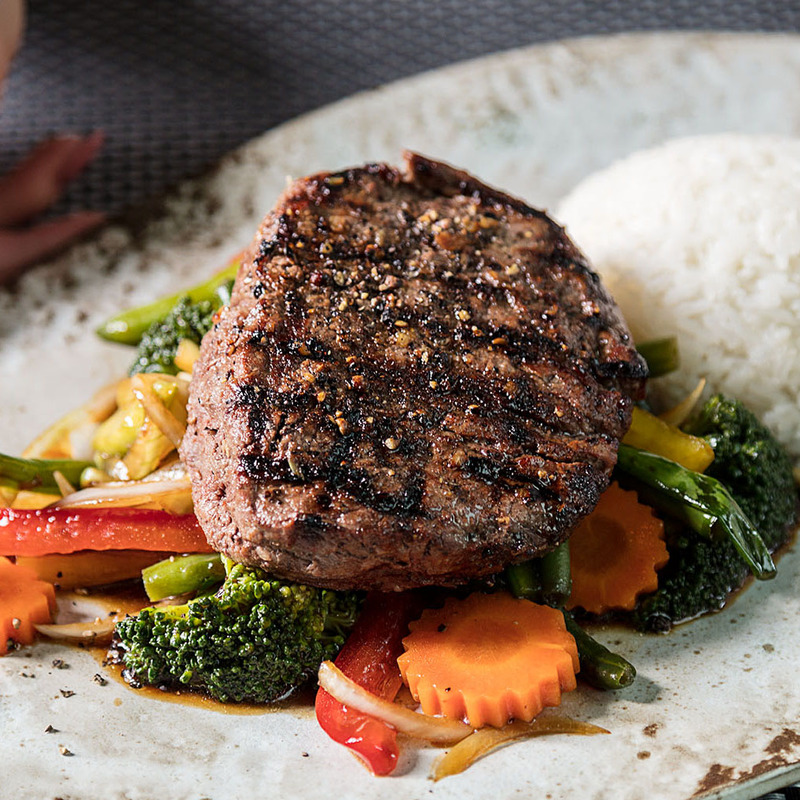 Black peppercorn grilled and marinated beef tender loin, rice. 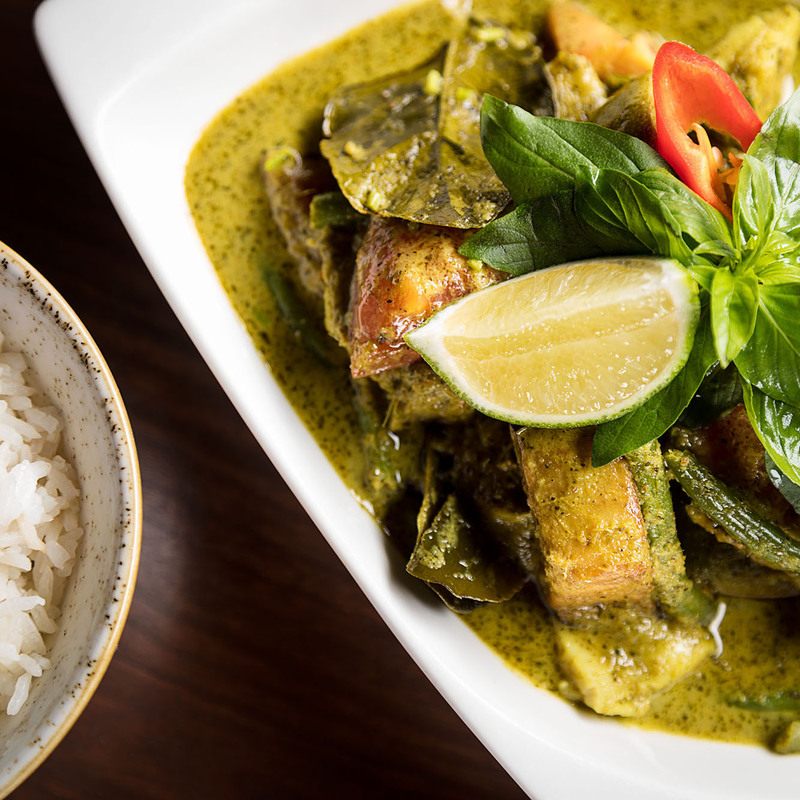 Green homemade lime curry seabass with coconut milk, kaffir lime leaves and fresh basil, rice. 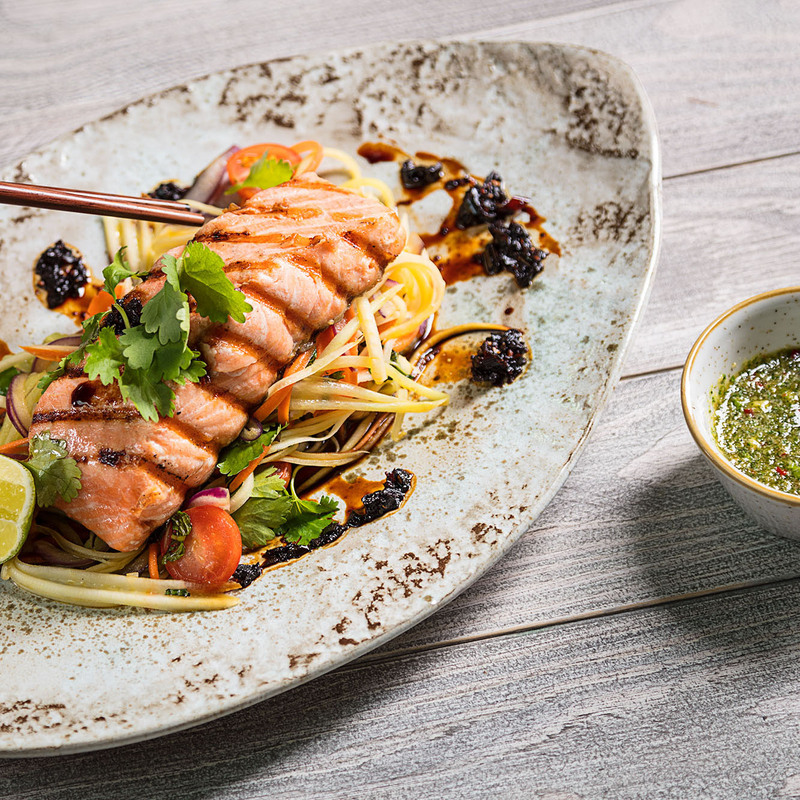 Grilled salmon marinated in soy sauce, served on a quilt of stewed vegetables with green papaya, rice. 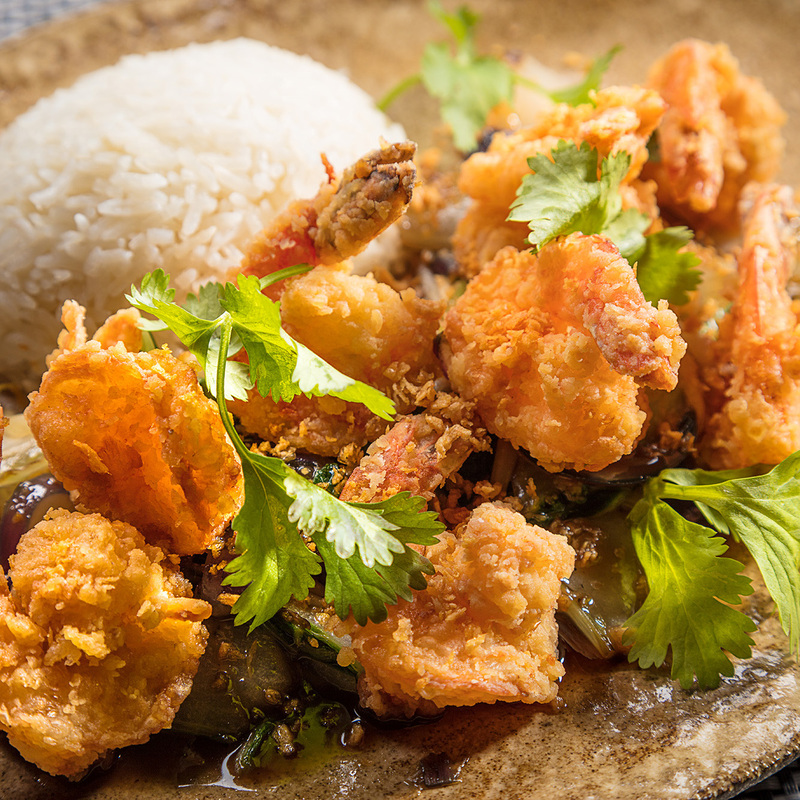 Pan -fried battered tiger prawns with wok-fired vegetables and garlic sauce, rice. 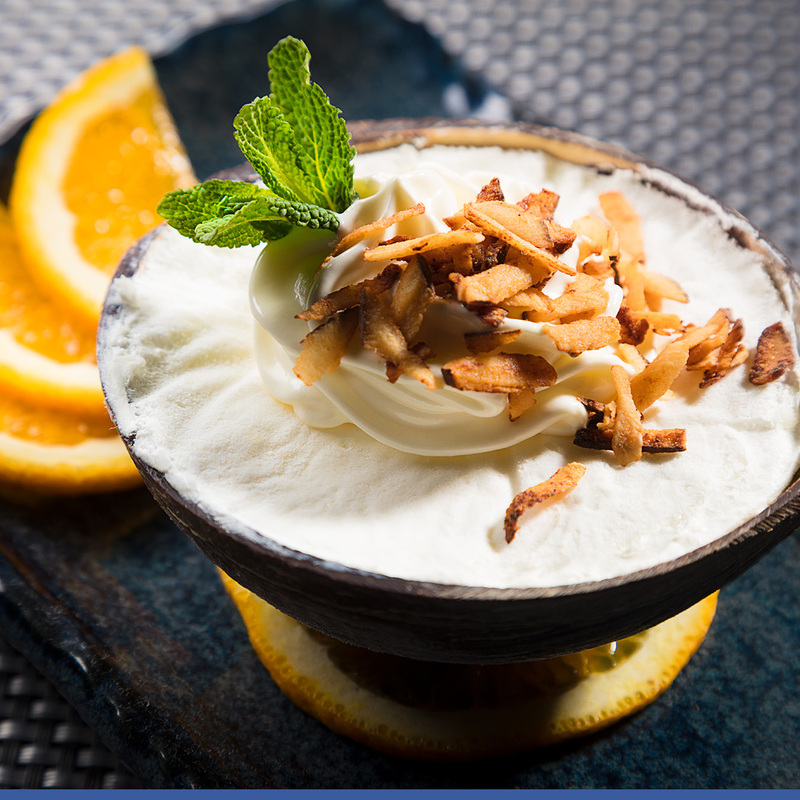 Coconut ice cream served in coconut shell. 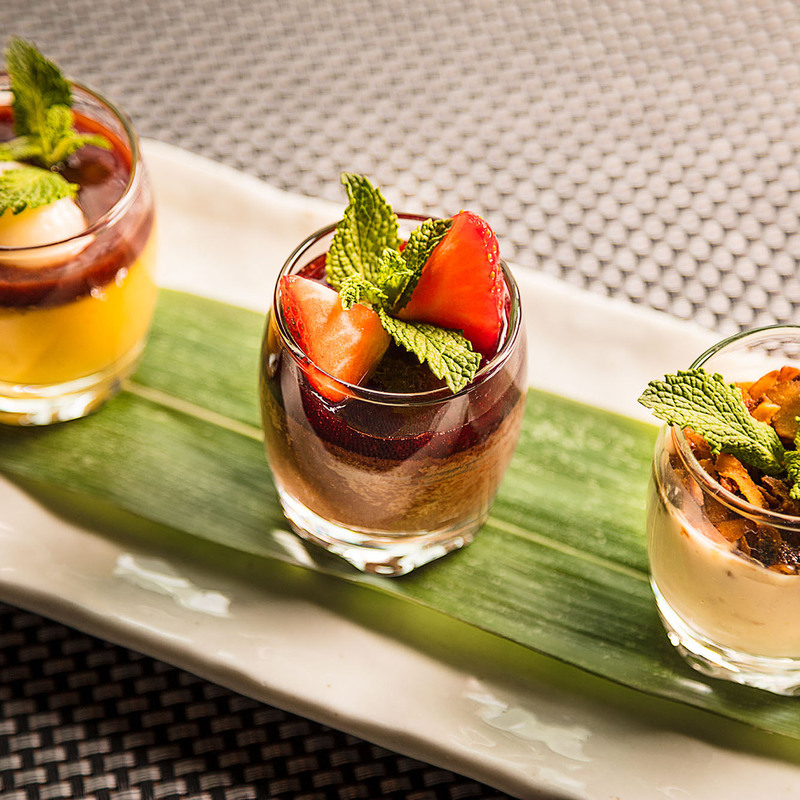 Chocolate mousse with homemade strawberry sauce, mango pannacotta with home made raspberry sauce, tapioca pudding. 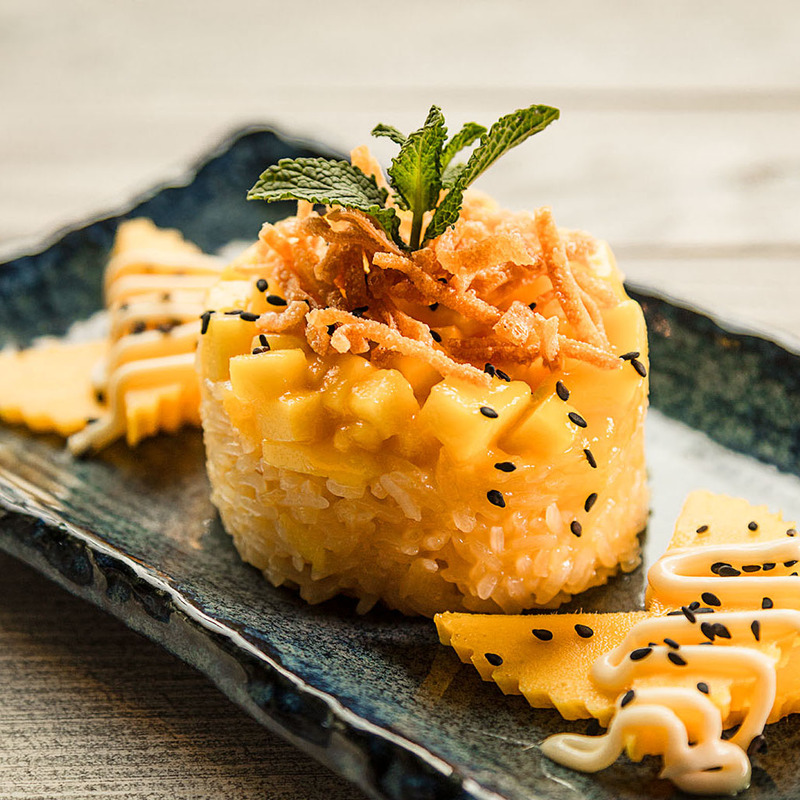 Sticky rice steamed with coconut milk served with fresh mango. 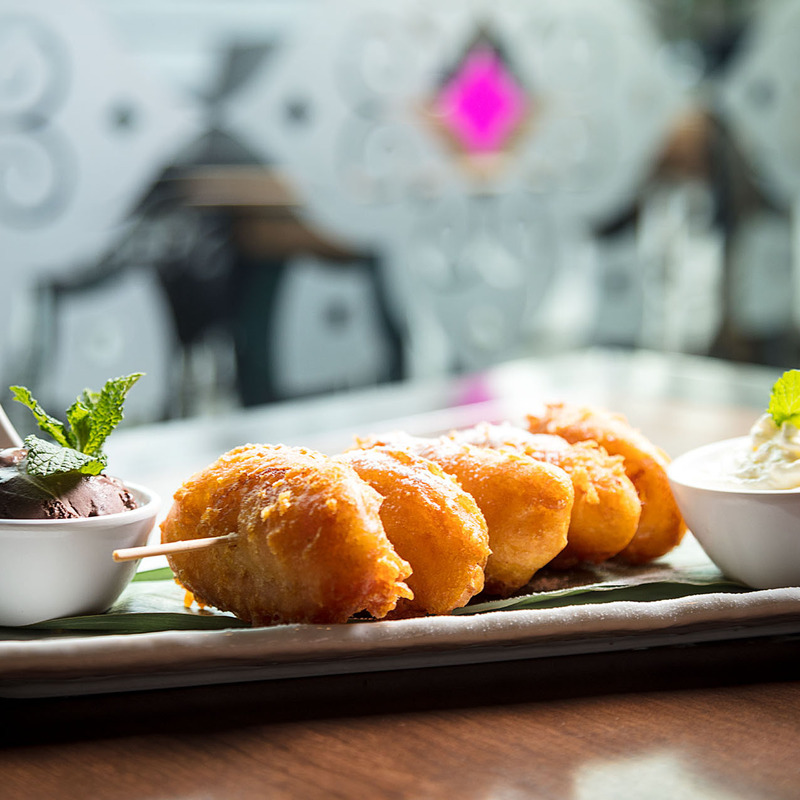 Fried banana with chocolate ice cream.